Meet Samuel: stalled writer, bored teacher at a local college, obsessive player of online video games. He hasn't seen his mother, Faye, in decades, not since she abandoned her family when he was a boy. Now she has suddenly reappeared, having committed an absurd politically motivated crime that electrifies the nightly news, beguiles the Internet, and inflames a divided America. The media paints Faye as a radical hippie with a sordid past, but as far as Samuel knows, his mother was an ordinary girl who married her high-school sweetheart. Which version of his mother is true? Two facts are certain: she's facing some serious charges, and she needs Samuel's help. 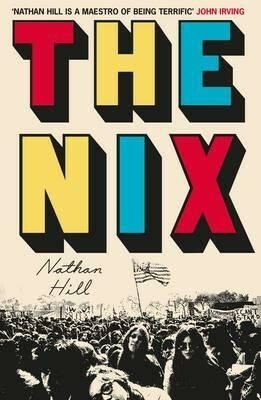 An absorbing and deft portrayal of a mother-son relationship, The Nix is a stunning debut we at Waterstones are tipping for great things in 2017. Thanks so much to Picador and NetGalley for making review copies of this book available to booksellers.